Wadjet Eye Games is due to release its latest adventure game early next month. Kim got her hands on a preview copy of Shardlight and can’t wait to see more. If you’re a fan of adventure releases, Wadjet Eye Games is a name you’ll most likely be familiar with. The developer creates and publishes some of the best writing in the genre: take The Blackwell series for example, a captivating tale about a reluctant medium and sardonic ghost from the 1930s or Gemini Rue, set in a bleak future dominated by a crime syndicate. The last preview code I had the pleasure of receiving from the company was that for Technobabylon and I absolutely loved it: promoted as ‘Blade Runner meets Police Quest’, this slick point-and-click set in the 2087 city of Newton had me hooked as soon as I set eyes on the title screen. 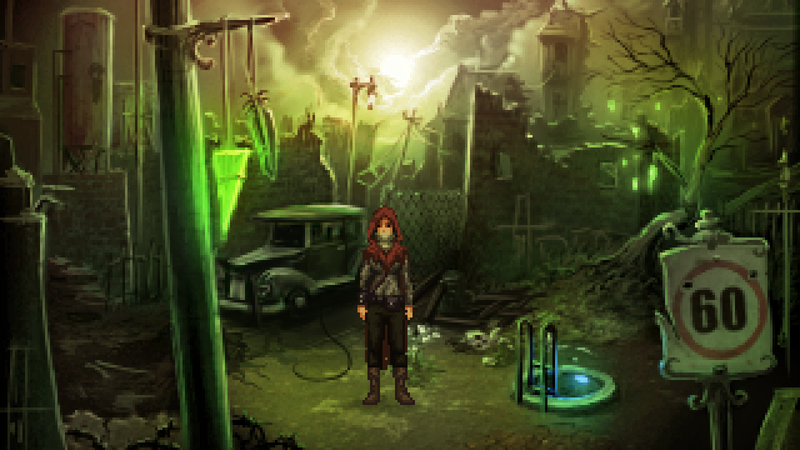 When PR Consultant Emily Morganti contacted us recently with news of Wadjet Eye’s upcoming release Shardlight, I may have been forgiven for rolling my eyes at yet another ‘post-apocalyptic’ setting. But if anyone can put a new spin on it this is the developer to do it. Set in the future after the bombs fell, disease, hunger and death is the norm for the majority of the population and the poor live in fear, superstition and squalor until they die. Meanwhile, the ruling Aristocrats – a faceless oligarchy that controls all resources – have unchallenged authority and the rich receive regular doses of vaccinations in exchange for unconditional government support. The first part of the game introduces Amy Wellard, a young mechanic reluctantly performing dangerous ‘lottery jobs’ for the Aristocrats in order to be in with a chance of winning a drug that will save her from the infectious Green Lung disease. As she descends into a dingy underground runnel to fix a reactor that generates electricity for the upper-classes, it’s clear that this task isn’t going to go according to plan. Unfortunately we’re unable to share videos or screenshots from the preview build at this time, which consists of the first third of Shardlight, but what I’ve seen so far has left me wanting more. It’s no wonder the previous lottery worker sent to repair the reactor never completed the job: crushed under some fallen rubble down in the tunnels, the man is in very bad shape. Amy is adamant she can save him but he insists the sealed letter he hands her is more important than his life, because if she manages to deliver it to the mysterious Danton everything around her will change. I don’t want to give too much away here and indeed, Emily has requested that we keep this article as free of spoilers as possible; but what happens next in the subways is traumatic and will leave you feeling for the protagonist. Speaking of Amy, she’s an extremely likeable character. At first I was a little uncertain about the ‘mechanic’ backstory as it seemed like a shortcut to highlight the fact that this is a ‘non-typical’ portrayal of a female within a video game. But once you discover how she got into the business, as well as the depth of her knowledge of cars, it all fits and her personality comes alive. Her caring nature means she has plenty of friends all over the city and most people are glad to see her. It’s a great way of making Amy feel like an established character and she’s a ray of hope in this bleak future. The majority of the puzzles I’ve completed up to now occur as the result of the protagonist’s desire to help those around her. They’ve all been relatively easy although not so simple that they become boring; the challenges move the story along nicely, and it’s the start of what has the potential to be a nice learning curve if there are some more difficult situations thrown into the mix later on. The only time I became stuck within the preview build was when I tried to solve a puzzle involving several items that just wouldn’t work together – but Emily has advised that this was actually a bug which has since been fixed. Phew! There’s a pleasing contrast between the poverty of poor and wealth of the Aristocrats, and it’s all depicted in glorious pixelated artwork. Ben Chandler has created the art for several of Wadjet Eye’s previous games and Shardlight is his fifth. An article published by The Examiner reveals that influences include older titles such as The Dig as well as newer releases including Fallout, and this is very apparent in the visual style. You can look at this release and know straight away that it’s a game from the developer: there’s a pleasing contrast between the poverty of poor and wealth of the Aristocrats and it’s all depicted in glorious pixelated artwork. Everything is bathed in the eerie green light emanating from shards handing on trees and lampposts within the environment, and I’m looking forward to see how these play into the storyline. The thing I’ve enjoyed most about Shardlight so far is the atmosphere. You generally expect games with a post-apocalyptic setting to go one of three ways: they can either be extremely depressing; or you can end up secretly disliking the characters because of their unbelievably-positive ‘can do’ attitude; or the developer resorts to zombies. I’m happy to report that that isn’t the case here (yes, a release without zombies!). Despite the terrible circumstances and constant threat of the Green Lung plague, you get this feeling that most of the characters you meet are simply trying to survive – and be decent to each other while they do it. At one point in the title, Amy heads back to her home and encounters three young children playing outside. They repeat a chilling nursery rhyme while playing jump-rope: “The Reaper watches from the skies, and sends ahead his birds…” The protagonist is able to ask if she can take a turn and doing so results in her reciting one of several other dark poems. It’s a great way of hinting at the devastation caused by the bombs falling and the infection of Green Lung without handing the details to you on a plate, and you can only imagine the struggles that the people of this future world must have gone through. A big thank you to Emily and the Wadjet Eye Games team for letting us take a preview look at Shardlight. The trailer above gives you a peak of what to expect from the developer’s latest adventure and from what I’ve seen so far, we’re not going to be disappointed. Head over to Steam now to add the game to your wishlist. 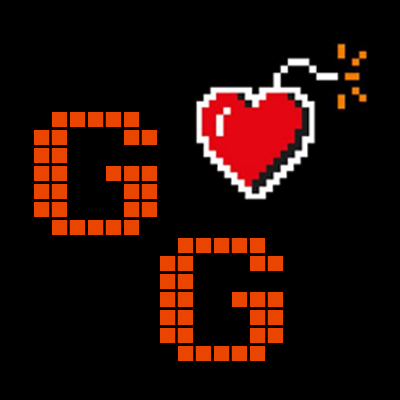 Previous PostGamely Giving update: February 2016Next PostShould we let kids play video games? Echoing Kevin here, this very Beneath A Steel Sky-esque (which is a great thing)… Man, now I wanna do a series on that. I like the general theme of this title – Wadjet Eye are a superb bunch!